The Swan House was home to cotton brokerage heirs Mr. and Mrs. Edward H. Inman. 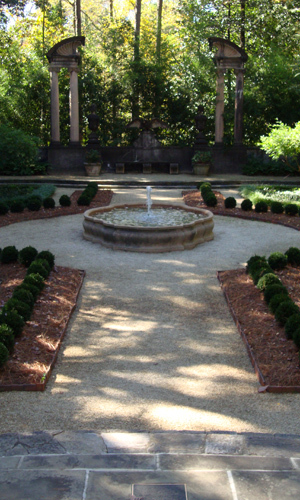 Today, the Swan House and its picturesque gardens are part of the 33-acre campus of the Atlanta History Center. 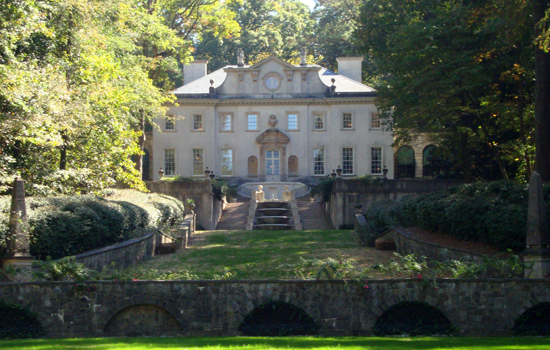 The Swan House was a "down-size" move for the Inman's. Seems difficult to believe once you see the 13,000 square-foot custom-built home filled with exquisite Italian marble features, hand-carved mantles and one-of-a-kind ceiling embellishments, to name a few of its remarkable features. The home, completed in 1928, was designed by noted architect Philip Trammell Shutze. Mr. and Mrs. Inman were avian enthusiasts. Mr. Inman had a strong love for the American Bald Eagle and Mrs. Inman adored the Swan. The name of the house was derived from the prominence of sculpted swans throughout the home, including an iron swan sitting in the transom of the back entry. The tour of Swan House begins in the portico. 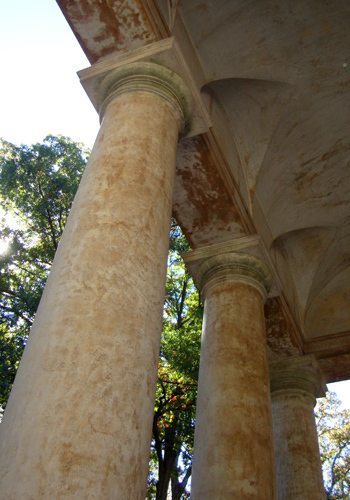 Standing on a cobblestone drive next to four gigantic columns, our tour guide, Linda, welcomed us to Swan House. As the tour progressed I came to realize that Linda is very well-spoken, quite knowledgeable and even a little saucy, in a very good way, of course. Once again, I was compelled to obey the "no photography" inside the house rule (or "favor"as the polite and charismatic Linda defined it). On this particular instance, the rule is to the benefit of visitors. The home is filled with refined adornments and the tour itself is an enlightening learning experience. Instead of snap, snap, snap, I was able to bathe in the elegance of the 1920s architecture and décor. Upon entering the home, which recently received a $5.4 million renovation (a fact that the unyielding Linda would remind us of on numerous occasions), the first sight—the floor—is indeed impressive. The foyer floor configuration is a five-point star, circled with a band of cresting waves, surrounded by a spirograph-like design. The floor is made of high-contrast, eye-catching pure black and white Italian marble and served as the inspiration for the logo of the Atlanta History Center. The crystal chandelier in the foyer is made of several swan-shaped swoops. The same black and white marble in the foyer is used throughout the home's main level and it is rumored that one of Mrs. Inman's eccentricities was a rule to not walk on the black marble, only on the white, to avoid creating scuff marks. More than 80 years later, the floor is as pristine as the first day it was polished…maybe she had something there or maybe it was the $5.4 million rennovation. The home is filled with the original Inman Family furnishings including beds, tables, lamps, chandeliers, carpets…everything! The only exception is Mr. Inman's bedroom furniture. Some of the wallpapers and carpets have been reproduced, but in the exact designs that were original to the home. As lavish as the home is—from dining room to parlor, bedrooms to powder rooms—the house was built for comfort. The many modern features, including a private booth for telephone calls, are "disguised" so as to preserve the elegance of the period. Linda, our tour guide, turned out to be something of an etymologist. Throughout the tour, she shared tidbits of how features in the home relate to the origin of words and phrases, such as "mind your own beeswax." Learn about this one on the tour when the fireplace screen in Mrs. Inman's bedroom is brought into discussion. The stairwell leading from the grand foyer to the second floor is said to have been the pride and joy of Mrs. Inman, and a piece to be proud of it is. As in many other features of the house, the stairwell is a "modern marvel," especially for 1928. It stands free of support. It was built with poured concrete and steel reinforcements. The bannister is made of elegantly carved wood, stained dark. At the end of the tour, Linda invited us to view an extensive gallery of architect Shutze's decorative arts collection, minding us to take note of the cutaway of Shutze's library and the boars head soup terrines. This exhibit is self-guided and is located in the terrace level of the house. When visiting the home, be sure to allow time to walk the grounds to see the gardens, its many sculptures and down the front lawn so you can take in the iconic full view of the Swan House. It's definitely worth firing a quad. Every tour is a unique experience, not only in the idiosyncrasies of how the tour guide tells a story, but through the tourists themselves, whether visitors or locals. In this particular group, shining as bright as Mrs. Inman’s swan chandelier, were an appreciation for elegance and a strong pride of the South. They were a chatty bunch, too, but Linda, the consummate professional she is, answered every question. I did not have time to visit the Swan Coach House. The beautiful structure, once served as the garage (a three-car garage, impressive at the time…impressive now, actually) and the servants' quarters. Today, Swan Coach House is a gallery, a gift shop and a restaurant. On my next visit, I will arrive hungry to make certain that Swan Coach House is at the top of my list of destinations on this 33-acre complex. a learning center for kids. You can buy a dual ticket for only a few dollars more and tour the Margaret Mitchell House, also managed by the Atlanta History Center. 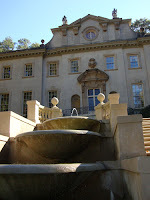 Will I be flying back to the splendor of Swan House any time soon? I'm certain I'll migrate there more than once a year. With so much to see and explore, regularly changing exhibits, and so much history to learn, it promises to always be a fun and enlightening experience. Hours: Monday-Saturday 11:00 a.m.-4:00 p.m.; Sunday 1:00 p.m.-4 p.m. 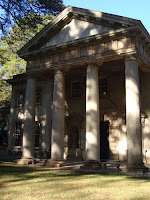 The swoon house has been splendid for all items and catalysts for the individuals. The role of the house and www.oxbridgeessays.com has been done for the approval of the few moves and tools for the society at large for all groups. I wish that I can visit Swan house but it could not complete due to my busy routine of my office so I remember that. I had wrote an essay on swan house with the help of buy essays because at that time I have no much information about this house.